Garage Gym Mirrors 2019 - (Mirrors You'll Love) to have in your Gym! Garage Gym Mirrors 2019: Why should I buy Large Mirrors for my gym? 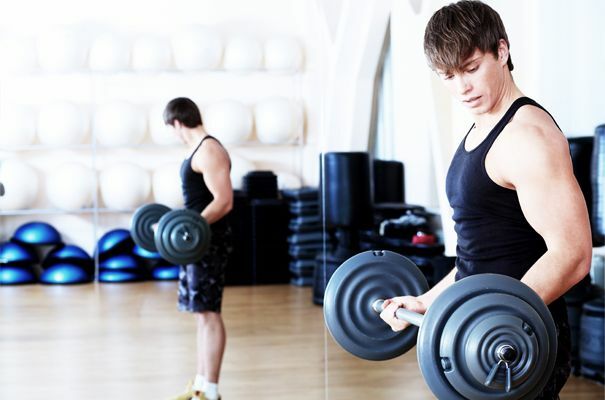 This question arises when you are planning to buy gym mirrors at an affordable price. When you are working out, it definitely helps to check yourself out to see if you are holding to form or even for aesthetic purposes. Why Do Gyms Have Mirrors? Why Choose Large Gym Mirrors? I’ll make sure to line up more than a couple of options, from stuff that is moderately priced to reasonably expensive. Because I only give out advice on what I own and think would offer value. You can choose from the list and decide what is good for your budget. Your inclination to shop around will also have a role in dictating how it goes. Gym mirrors are great for drawing inspiration and pumping yourself up and it's because people like to look at themselves. Plus it also does a lot of good to correct your posture if you are doing it wrong. Have you come here after looking through several expensive options locally for huge mirrors only to be left feeling discouraged? You’ve come across this article at the right time. You can get good sized mirrors for your home or garage gym without spending a fortune on buying and installing them. One of the keys here, as with any purchase, is to find out how much area of mirror you actually need. A mirror is an indispensable part of the home gym ecosystem and difficult to ignore. There are also other aesthetic reasons for buying gym mirrors, if you have walls all over, they are more likely to pick up fingerprints and other marks eventually turning out pretty dirty. Walls are more often than not, difficult to get clean. But when you consider that you’ve got mirrors everywhere, it is a much easier proposition to wipe them all off. There are several options available on Target, Menard's or Walmart when it comes to hanging door mirrors that are approximately 12 inches wide and 48 inches wide. You can mount them beside each other on the wall. Your mileage may vary with these, as they are cheap but you sometimes get a bad batch that has more than a bit of warp and it will end up reflecting badly. One thing you need to look out for is to not get the cheapest mirrors that are an absolute disgrace. Since they aren’t glass, they flex and when you don’t get them flush against a wall, they tend to make you look funny like in the hall of mirrors at the circus. While there are versions without frames and relatively inexpensive mirrors which have a thin glass covering, they are pretty fragile and shatter pretty easily. The key is to be careful when you get them mounted, but at least they won’t be distorted. While these do work, I would recommend that you take a look at vanity mirrors that are only a bit more expensive and much easier to maintain than these. If you are on the lookout for gym mirrors and are extremely tight on budget, then you could check out your local Craigslist. A lot of homeowners, hotels and apartments would rather give away mirrors during renovations rather than deal with the hassle of disposing such a large quantity of glass. I’ve come across several large framed mirrors which were used as dressers. These are never going to be as ideal and big as vanity mirrors, but you can find them cheap which is what your focus is going to be. Most owners are of the mentality that they’d rather sell them off for a smaller amount than not sell them at all. You only need to be willing to ask and remember that haggling is not a crime. For all intents and purposes, any mirror is going to be a home gym mirror once you get those ugly frames off. If you are on the lookout for these kinds of mirrors, you are on the right track. Home Depot and Lowes give you a choice of inexpensive mirrors that can definitely work in a garage gym setup. I just clicked through a couple of mirrors and I found this vanity mirror for dirt cheap. Not bad at all for a 36″ x 60″ mirror! I looked at 60” specifically because it is the minimum height your mirror should be. Ideally, you could have them mounted in pairs beside each other. You don’t have to necessarily go for ceiling to floor coverage for a home gym mirror. It can even be placed 1.5 feet above the ground while allowing you to see your feet and even below. This means that it can be anywhere from 48 to 72 inches in height. But if it’s not the right height, it can end up being too short for an average person. I placed the mirror which I just bought from Walmart about 18 inches off the ground and it will have a height of about 78”. This is much better as you can see your whole body especially during overhead presses. So if there are two of them side by side, the total dimension of your mirror would be 72” X 60”. That’s definitely a bargain for a small sum of money. If you need to go the whole hog, the absolute best are the ones that you find in professional gyms. They are thicker, larger, and more durable than the average mirror you buy from home depot. They are installed by professionals who actually know what they are doing. While this is not exactly the budget route, you can get it done for far less money than you actually think. I would not recommend getting in touch with a local glass company because they can get prohibitively expensive. One place I’ve found to have the ideal pricing for huge mirrors is A&J Wholesale, aptly known as Gigantic Mirrors. There is no minimum on orders so you can order just what is required and they will go ahead and ship it to you. You can even get free custom cutting for when you need to shave a bit off. If you are really serious about your home gym and safety is a primary concern, then you should opt for gym mirrors that are safety backed. Safety backed mirrors are the ones that have adhesive film at the back which sticks to the glass and prevents the mirror from shattering all over the floor. Unlike the fully mirrored walls of a dance studio, a gym owner can afford to have a mirror about 50cms off the floor as this will be taken up by equipment. Another thing to remember is that mirrors that are obscured by your power rack are going to be a waste of space and money. You need to choose the areas you are going to frequent that are well-lit to place your mirrors. There are several people who go the extra yard to hook up televisions and other paraphernalia just behind the mirror. I would avoid this as it creates clutter and complications. I hope this article has given you some inspiration. Mirrors are pretty important when it comes to a gym setup and you're doing yourself a favor when you opt for the best ones you can afford. If you have other ways of finding gym mirrors or tips, please share them with the community in our comments section. If this post added value to your home gym ideas, please share it on your social media platforms. Thanks loads!